The other day, somebody asked whether there was a CHM version of the SDK help. There isn’t. 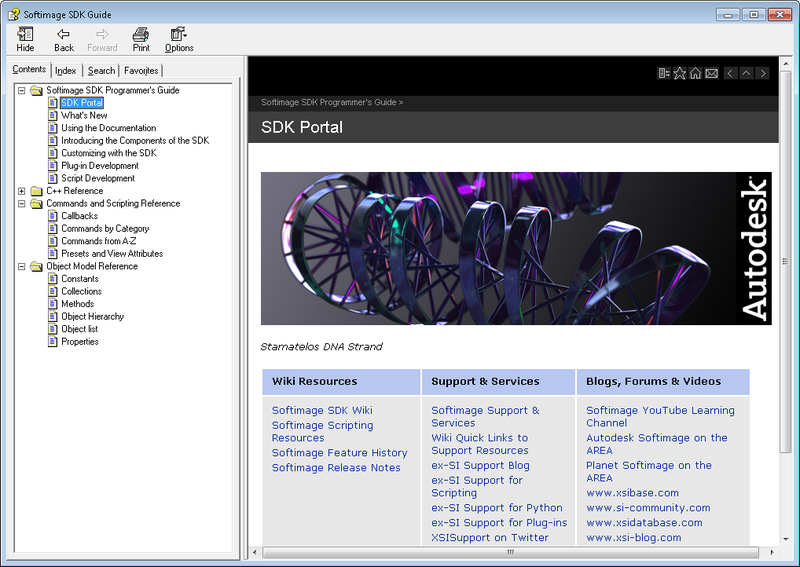 So I downloaded a copy of the [aging and neglected] HTML Help workshop, installed the local version of the Softimage 2013 documentation, and compiled the SDK help into a CHM file. I created the TOC manually, so it has only two levels. 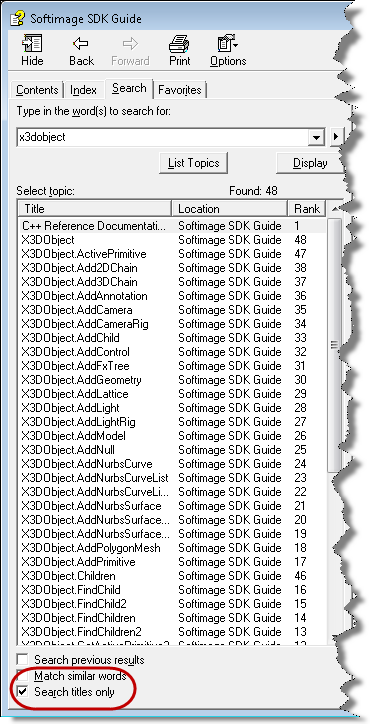 But clicking one of the sub-levels (like “Customizing with the SDK” or “Objects A to Z”) takes you to a page with more links. Some pages will give a script error (because they have an apostrophe in the page title, and that title is used in a script). You can ignore those errors and continue on. Some of the icons at the top of pages, like Home and Add to Favorites will pop up a browser page. I didn’t take the time to update every page to get rid of them. I almost didn’t bother with the index, because I think you can usually get the same thing with the Search, as long as you enable Search titles only. 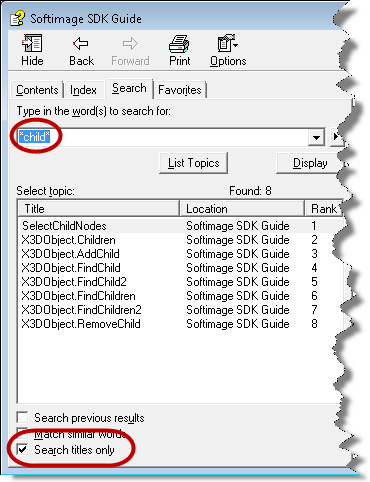 It’s always bothered me that there’s no index entries like “children, adding” or “polygon meshes, creating” and that you have to somehow know the verb part of the method or command name if you want to find it in the index. 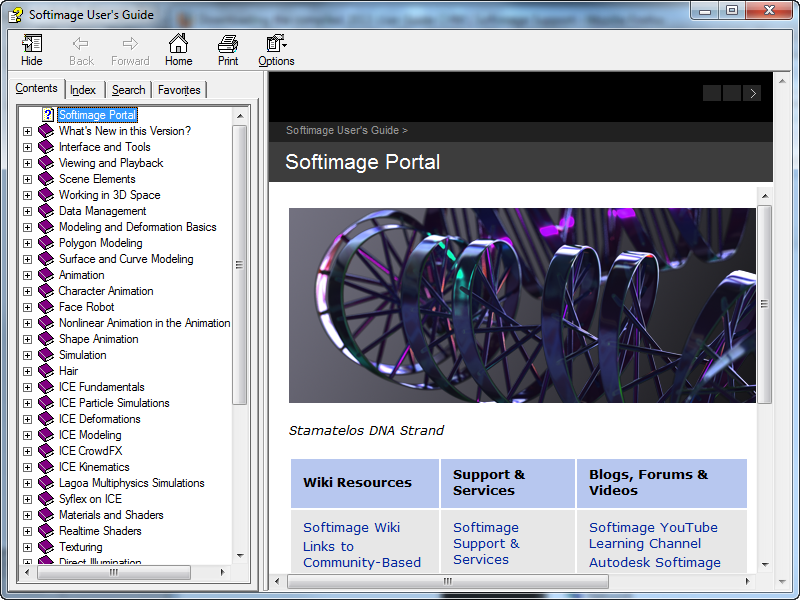 If the wiki link isn’t working for you, you can get the CHM version of the 2013 User Guide here.